Green tea cut obesity and a number of inflammatory biomarkers linked with poor health in a new study. Mice fed a diet of 2 percent green tea extract fared far better than those that ate a diet without it, a finding that has prompted an upcoming study of green tea’s potential benefits in people at high risk of diabetes and heart disease. The benefits seen in the new study, published in the Journal of Nutritional Biochemistry, appear to stem from improved gut health, including more beneficial microbes in the intestines of the mice and less permeability in the intestinal wall—a condition typically called “leaky gut” in people. “This study provides evidence that green tea encourages the growth of good gut bacteria, and that leads to a series of benefits that significantly lower the risk of obesity,” said Richard Bruno, the study’s lead author and a professor of human nutrition at The Ohio State University. Negative changes in the gut microbiome have been previously linked to obesity, and green tea has been shown to promote healthy bacteria. 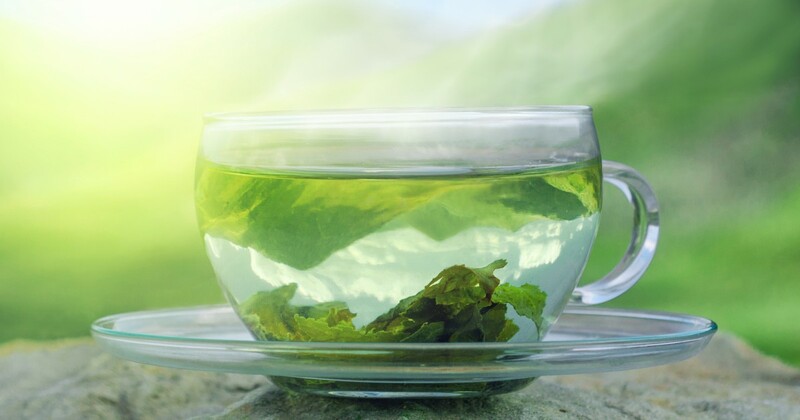 The Ohio State team wanted to explore whether there was an argument for green tea preventing obesity, inflammation, and other factors connected to poor metabolic health, said Bruno, who is also a professor of food science and technology at Ohio State’s College of Food, Agricultural, and Environmental Sciences (CFAES). 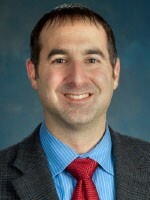 Bruno also has an appointment with CFAES’ research arm, the Ohio Agricultural Research and Development Center (OARDC). Green tea has a rich history in Asian countries and has been increasingly embraced in the West, in part for its potential health benefits. Catechins, anti-inflammatory polyphenols found in green tea, have been linked to anti-cancer activity and lower risk of heart and liver disease. For eight weeks, half of the animals ate a high-fat diet designed to lead to obesity and half were fed a regular diet. In each of those groups, half ate green tea extract mixed in with their food. The mice fed a high-fat diet supplemented with green tea gained about 20 percent less weight and had lower insulin resistance than mice fed an otherwise identical diet without tea. Those mice also had less inflammation within fat tissue and the intestine. Furthermore, the green tea appeared to protect against the movement of endotoxin, the toxic bacterial component, out of their guts and into the bloodstream. Plus, the researchers found evidence of stronger—less “leaky”—guts in these mice. Leaky gut is a problem in humans that contributes to widespread low-grade inflammation and has been implicated in a number of health problems. The researchers also found that the green tea appeared to contribute to a healthier microbial community in the guts of the mice fed a high-fat diet. Mice fed the normal, or low-fat, diet supplemented with green tea also had benefits including reduced weight gain and lower endotoxin levels and markers of leaky gut, but these were relatively modest compared with the effects seen in mice fed the high-fat diet. Green tea consumption in the experiment would be equivalent to about 10 cups of green tea throughout the day for a person, Bruno said. “It might seem like a lot of tea, but it’s not highly unusual in certain parts of the world,” he said. Bruno is currently working on a human study that will explore the effects of green tea on leaky gut in people with metabolic syndrome—a condition that predisposes people to type 2 diabetes and heart disease. For now, he said, it’s too soon to extrapolate the findings in animals to people. He also cautioned that—should the benefits prove true in humans—green tea supplements would not be an obvious substitute for drinking the beverage over the course of a day, because of how the body metabolizes the catechins in the tea. “Consuming a little throughout the course of a day with food—like the mice did in this study—might be better,” Bruno said. He said he’s hopeful that future research will determine whether drinking green tea might be a good strategy for those looking to reduce their chances of becoming obese. “Two-thirds of American adults are overweight or obese, and we know that just telling people to eat less and exercise more isn’t working. It’s important to establish complementary health-promoting approaches that can prevent obesity and related problems,” Bruno said. The study was supported by the U.S. Department of Agriculture. Other Ohio State researchers involved in the study were Priyankar Dey, Geoffrey Sasaki, Ping Wei, Jinhui Li, Lingling Wang, Jiangjiang Zhu, Dana McTigue and Zhongtang Yu.